Two years ago, Gov. Jerry Brown signed an ambitious law ordering California utility companies to get 50 percent of their electricity from renewable sources by 2030. It looks like they may hit that goal a decade ahead of schedule. An annual report issued Monday by California regulators found that the state’s three big, investor-owned utilities — Pacific Gas and Electric Co., Southern California Edison and San Diego Gas & Electric Co. — are collectively on track to reach the 50 percent milestone by 2020, although individual companies could exceed the mark or fall just short of it. In 2016, 32.9 percent of the electricity PG&E sold to its customers came from renewable sources, according to the report. Edison reached 28.2 percent renewable power in 2016, while SDG&E — the state’s smallest investor-owned utility — hit 43.2 percent. California first started requiring utilities to increase their use of renewable power in 2002. Brown and his Republican predecessor, Arnold Schwarzenegger, ratcheted up the targets over time. 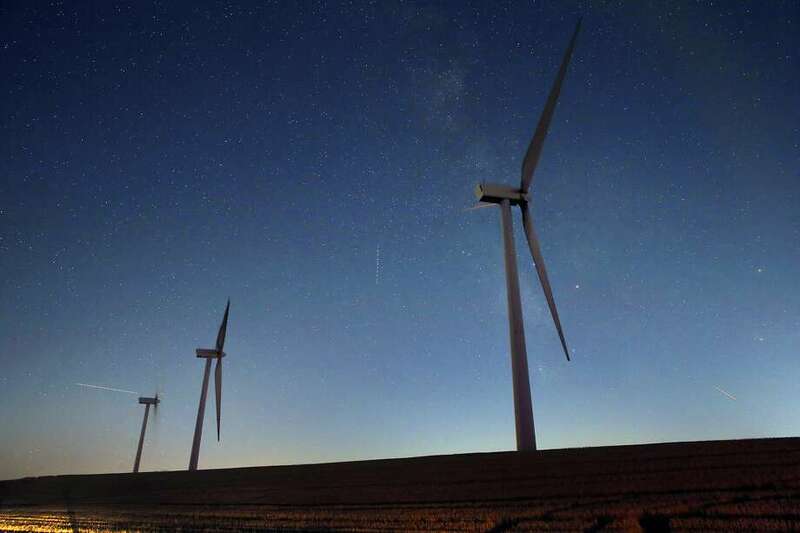 Known as the renewable portfolio standard, the requirement has become one of the state’s most important tools for lowering greenhouse gas emissions and fighting climate change. Brown has touted California’s ability to boost renewable power and lower emissions while growing its economy. Even as President Trump has moved to scale back federal efforts to combat global warming, Brown has been pushing other states and foreign governments to join California. California’s emissions from electric power generation have declined almost every year since 2008. The requirement triggered a boom in the construction of solar power plants and wind farms. At the same time, renewable power prices have plunged. The average utility contract price for buying electricity from a large-scale photovoltaic solar facility dropped from $135.90 per megawatt-hour in 2008 to $29.17 in 2016. Wind power prices fell from $97.11 per megawatt-hour in 2007 to $50.99 in 2015, according to the report. So much solar power now floods the California grid from late morning through mid-afternoon that on many days, there isn’t a need for all of it. But the state is still heavily reliant on conventional power plants burning natural gas, which provide the large majority of California’s electricity during late afternoons and evenings. The report found that as the renewable power building boom was getting under way, utilities signed contracts with more solar and wind power developers than they needed, expecting many of the projects to fall through. They also bought more “renewable energy credits” — tradeable certificates generated whenever a solar plant or wind facility produces electricity — than necessary. In addition, the growing popularity of community choice aggregation projects — in which local governments buy electricity on behalf of their citizens — has cut into the amount of electricity the utilities sell to customers, a trend expected to accelerate. As result, reaching the 50 percent renewable mandate will be easier than anticipated.